I have been living independently in Seattle for 17 years. My motto is that DeafBlind people can do everything except hear and see. I have taken on many leadership roles within the local DeafBlind community. I have been president of the board of the Deaf Blind Service Center and more recently, president of Washington State Deaf-Blind Citizens. My term of four years ended in April of this year. Currently, I am the fundraising chairperson for the 2017 Northwest DeafBlind Conference. I grew up with three hearing, sighted brothers in the Chicago area. Despite the communication barrier, I developed home signs with my family; such as lox, hot dog, and dad. I did not have the opportunity to learn American Sign Language (ASL) until the 6th grade. In my early years, I enjoyed playing sports with my brothers and friends, all the while being unaware of my eye condition. During my senior high school year, I played on the volleyball varsity team. One night the ball flew over my head. I simply did not see it. My team lost a very close game. An upset teammate punched me in the face, blaming me for our loss. The school alerted my parents concerning my vision. My parents took me to see a specialist at University of Illinois Chicago. This was before the Americans with Disabilities Act (ADA) had been adopted and no interpreter was provided. This made it hard for me to understand what was being discussed during the appointment. However, I could see that my parents were terribly upset. 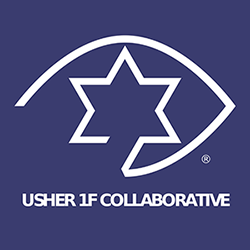 I learned that I had Usher Syndrome and that one day I would be blind. This information was delivered by the doctor in a brusque and unsympathetic manner. I was heartbroken; my dreams of the future profoundly altered. In particular, I was devastated that my involvement in team sports had come to an abrupt end.  My biggest hope is to find a cure for every Jewish DeafBlind person who has type Usher 1F. As each of us grows older, our sight starts to diminish but not our hopes.